The court system alone can be quite confusing to anyone that does not have the knowledge or expertise to maneuver around within it. When you find yourself on the defensive end of the spectrum within this system, it is almost always better for you to hire a defense attorney instead of trying to defend yourself. 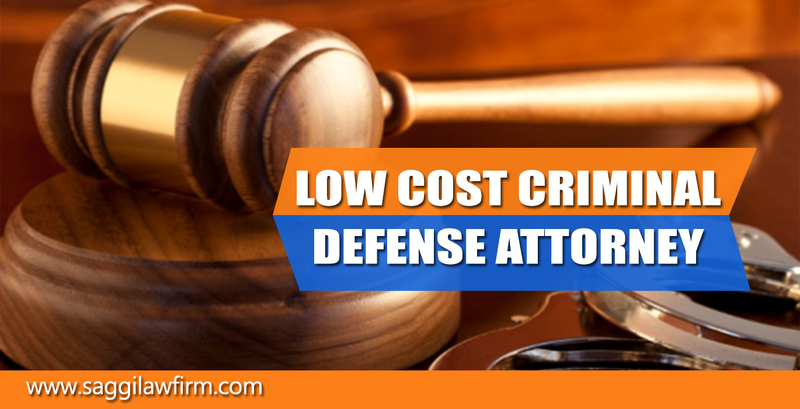 A criminal defense attorney’s main job is to defend you in court to the best of their abilities. They know the ins and outs of the system and will be able to provide you with the best chance towards the outcome you are looking to achieve. Some will have stronger defense abilities in a particular crime while others may have better abilities in another crime. Therefore, hiring the right defense attorney can be quite crucial. First, ask around to find out about any lawyers around your area with a good reputation. You can ask family, friends or others you may know who have been through a similar situation. You can also look through the phone book in the yellow pages where you will find there are many attorneys listed. Most of them will highlight their areas of expertise in an advertisement within the yellow pages as well. It may be best to look for a lawyer specializing in your type of case. Once you contact a criminal lawyer they will want to first meet with you on a consultation basis which is of no charge. This helps them decide if your case is one they are willing to take on as well as determine their fees and potential average cost of a criminal trial. The costs can vary greatly and will have a lot to do with the amount of work involved in your particular case, as well as their own level of expertise. If you feel their fees are too high then try and negotiate with them. You can often times negotiate a lower price or set up a payment plan with the defense attorney. Fees may not be the only concern you have with the attorney. You will want to find out if they have handled cases similar to yours and how many. You can also gain their thoughts on how long they feel your case may continue until resolved. Ask and find out if they are going to be the only one working your case and how often they will be in contact with you. You will want to have regular updates on their progress. Once you have your questions answered and if you choose to hire the criminal lawyer, you will need to sign an agreement or contract on their services and average cost of a criminal trial. Along with this, the defense attorney will expect a retainer fee from you. This secures their services for you, and once paid, they will begin to work on your case. Having a well-qualified criminal defense attorney on your side will help you as you make your way through the sometimes confusing legal system. Be sure to do thorough research before making your final decision. When you are involved in a criminal case and have been arraigned in criminal proceedings the necessity of engaging a good criminal defense attorney is extremely important. The question of whether or not you need a criminal defense attorney is a complex one and needs to be decided based on many factors. If you have decided to have an attorney to defend your case, then the task of finding the attorney best for you stands before you. With so many attorneys available in your area, it can be especially difficult to find the attorney who best fits your needs. Referrals are the definitely the best way of short-listing the criminal attorneys for you, and in case you are arrested, spending your time in custody with other inmates can give you the necessary information in finding the right criminal defense attorney. Contacting referrals is a far better technique compared to asking around. You can rely on referral input much more than friends and family input. After getting the referrals, you have to collect more information about the selected attorney and based on all of the relevant information you can decide if he or she will be good for your case. If you can, try to visit the courtroom many times to find the best defense attorney based on the way in which they are handling the proceedings in the court. You can also watch first-hand the way in which they deal with persons and matters connected with the case they are handling. This will be a more reliable way of finding the right defense attorney for your criminal case. In this way your decision will be based on the real face-to-face interaction and probably be extremely effective when it comes to the decision-making process. We are living in the Internet era and you can find various types of online directories that provide the list of criminal defense attorneys in your area. This is the starting point for getting at the list of probable attorneys for your case. Once you have the list of probable attorneys, it is necessary for you to consult with at least two or three attorneys in-depth. Hire the one who seems to be most capable after comparing the way in which they view your case and how they are proposing to deal with it. Being patient and making wise decisions during your attorney search will play a huge role in helping you pick the right lawyer. The law is a complicated thing, and unfortunately, the system is not just all black and white. That is why we people need a good criminal defense attorney at their side if a time comes that they are on the wrong side of the law, but shouldn’t be. And even if they happen to be guilty of a serious crime, it’s still their right to provide themselves with the best criminal attorney that they can afford in order to ensure that they get a fair and proper trial. Too many individuals (because of ineffective defense attorneys) have either been convicted of crimes that they didn’t commit, or were sentenced to much harsher terms than they needed to be. When choosing the criminal defense attorney, a few things should be taken into account. Pick an attorney that has been practicing law for a long time. Not only will he or she have loads of experience with criminal law, but will also be familiar with the judges and district attorneys. This can definitely be an advantage when going to trial.